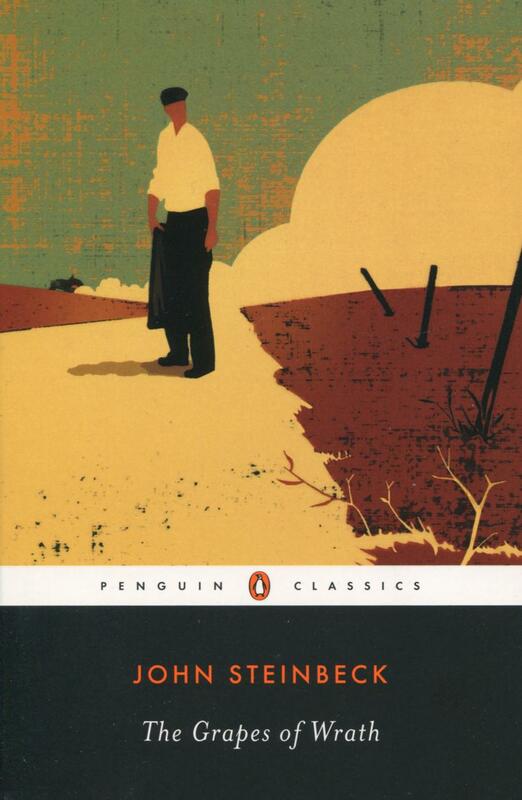 The greatest novel about the Dust Bowl, by one of the greatest writers the western hemisphere has ever produced: this social realist masterpiece follows the travails of the Joad family as they abandon their Oklahoma farmstead and head out for California during the economic and climate troubles of the 1930s. Their futile pursuit of a better life in the face of endless troubles can be seen as a metaphor for the American Dream—as well as an indictment of the systems which left so many real-life families like the Joads in such abject poverty. Ma Joad has to hold her family together as the arduous journey west takes ittoll: Grampa and Granma Joad dying, two of her sons disappearing, a pregnant wife left behind. The source of the Joad family’s problems is not so much the environment or the economy at all, but other people. The history of California, as Steinbeck tells it, is one of stolen land and broken bonds; in turn, the main source of hope in the book is also the kindness and trust of others, whether family or strangers. No matter the circumstances and the stresses, there is always a choice available—to trust each other, or to betray. John Steinbeck was born in Salinas, California, in 1902, and he frequently wrote about his home state throughout his life, including in Tortilla Flat (1935), Of Mice and Men (1937), and Cannery Row (1945). His experiences of the Great Depression were also central to his work, which emphasized the lives and struggles of ordinary people. The Grapes of Wrath won both the Pulitzer Prize and National Book Medal, and was cited by the Nobel Committee when he was awarded the Prize for Literature in 1962. Steinbeck died in 1968.